There’s a lot of options when it comes to hosting your music — we explore the pros and cons of the top music platforms on the market. What a time to be alive — thanks to the Internet, there are now countless outlets for music fans to discover new music from around the world. As a music fan, the online world is your oyster. As an artist, the online world is a continuously evolving maze,requiring an ever-deeper understanding of one’s fanbase and the strategic utilization of the right music platforms. It is key for musicians to have a diverse online presence in this rapidly changing digital age. While musicians are aware of the importance of getting music in front of the right people, the question remains: where? 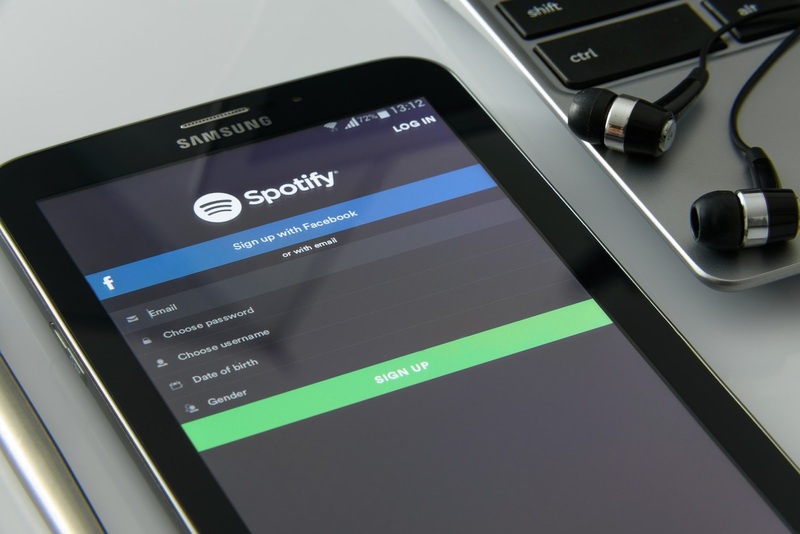 In this article, we’’ll examine the pros and cons of some of the top music platforms on the market to help you decide which services are right for you…at least for now. Pros: Spotify is currently the most popular music streaming service with over 100 million users. One of the major pros of the Spotify is the broad appeal it has by featuring music from underground musicians to up-and-coming artists as well as the works of major music icons too. Spotify has something for everyone, from millennials to hippies to yuppies, and the platform covers all genres and all bases. Spotify also gives space to each artist for a bio and related artists information, which can help your new fans form a connection with you. Cons: Spotify is not a self-service platform. In order to have your music hosted on Spotify, it will need to be uploaded by a music label or distributor. If an artist is unsigned, they have to work through an artist aggregator to manage their Spotify content. Bottom Line: If you’re not getting paid for hosting your music online, you might as well get it in front of as many people as possible. Spotify is great for doing exactly that and is a powerful promotional marketing tool that can build your audience and encourage casual listeners to convert to ticket and merchandise buyers. Pros: When people are into SoundCloud, they are really into SoundCloud. One of SoundCloud’s biggest pluses is it’s uber-dedicated fan base. People who primarily use SoundCloud are very into music and the platform is great for discovering emerging artists. The platforms repost feature can be very powerful for getting your music to the masses if leveraged properly; it all depends on what influencers you can get to give you a listen. Cons: SoundCloud’s popularity has been slowly decreasing, largely in part to its increased restrictions on copyright infringement. SoundCloud Pro isn’t anything to be overly impressed by either. It costs $63 a year for a SoundCloud Pro account, and it’s subpar reporting tool only allows you to see ground level metrics on your track’s performances with no real insights or useful information. Bottom Line: There’s definitely a market for SoundCloud, but it is diminishing. It’s been said that there’s no such bad thing as ‘bad press’ so one can argue that there’s also no such thing as bad exposure. As an artist, it’s not a bad idea to have a SoundCloud profile to diversify your online presence, especially since the basic account is free. Just be careful with what you upload or risk getting shut down, though SoundCloud is working to fix its copyright problems, at least for DJs. Pros: You can sell your music on iTunes — hello $$$ — and it is the number one most popular music store. Signing up to host your music on iTunes is free. Cons: We also hate to say it, but music sales are declining. A large number of emerging artists are offering their work online for free and the trend continues to grow. Even if you do make a sale, musicians only make about 70% profit off the music they sellon iTunes. The transactions that take place on iTunes also gives musicians no real connection or ability to interact with their fanbase. Bottom Line: iTunes has a sleek and clean interface and is integrated into a variety of different services and devices. However, this is not the best platform for those trying to grow their fanbase and foster genuine relationships with their audience. Apple Music, the streaming version of iTunes, may be a better option for some artists as it allows for more of your background and branding. However, you need to hire an aggregator to get your music on Apple Music; prices vary. Pros: After Google, YouTube is the second largest search engine. Because of this, music listeners frequently go to YouTube first to look up song, lyrics and music videos, and you can grow your fanbase by leveraging SEO and video tags. There is clear marketing potential in having a professional YouTube channel dedicated to your work which allows you to encourage your listeners to subscribe and engage with your posts. Having a YouTube channel is a staple in the online presence for many artists and has acted as a launchpad to success for professionals in various industries. Cons: YouTube is known for paying very little in royalty fees to musicians. Bottom Line: A professional YouTube channel is an excellent marketing tactic to have in an artist’s arsenal of promotional tools. Video is the most consumed type of content on the web, and a well-done video can get you noticed organically. However, if you’re looking to make a profit, look elsewhere. In addition to reaching your fans on the right platforms, it’s also crucial to have a broad online presence. Facebook, Instagram, Twitter and SnapChat are also staples to the every-day digital personal. Today’s fans want more than to stream music. They’re seeking a connection and insight in the lives of the artists they follow. Whether you’re creating a social media account or a streaming profile, branding and consistent voice matters. Wysidio’s team of marketing experts are specialists in helping artists develop an authentic, sustainable brand, and managing your external communications. Whether you need help getting more streaming listens or building up an online following, we’re here to help. Contact us below!